This gorgeous playground lives right next door to the Gembrook Railway Station and EXACTLY as expected it is train themed and perfect for your little train enthusiast. J.A.C. 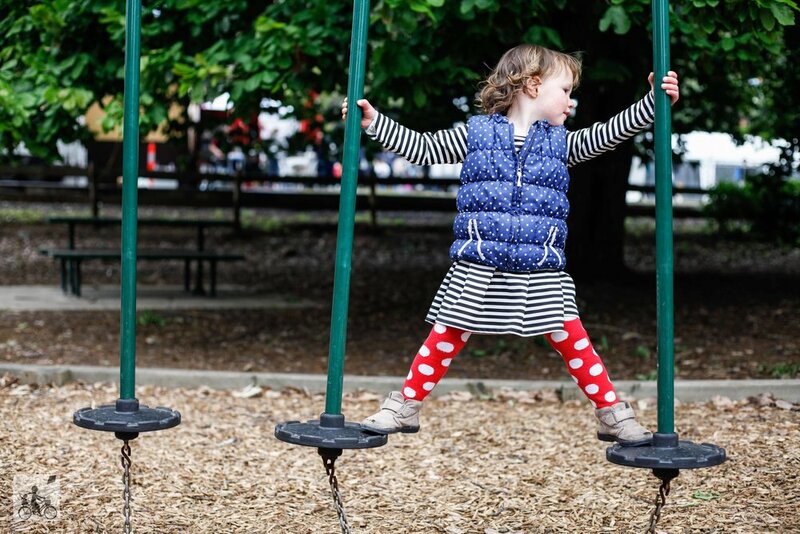 Russell Park is the town's main reserve in the middle of town and is a great little place to play - whether you are waiting for your return trip on Puffing Billy or on a day trip with the family to this outer eastern town. The structures are train shaped and it is a great one for toddlers as there are stairs to access the slides, plus some more challenges for your preschoolers. The gardens in the park just as beautiful and with BBQs, a picnic tables and heaps of green space for a picnic, it is the perfect spot to recharge the family batteries as well as letting the little ones explore. Mamma's special mention: Need and idea for lunch? The Independent is over the road and with a cubby in the backyard, is a great spot for a weekend family feast! OR more play? Head up the hill to the adventure playground!